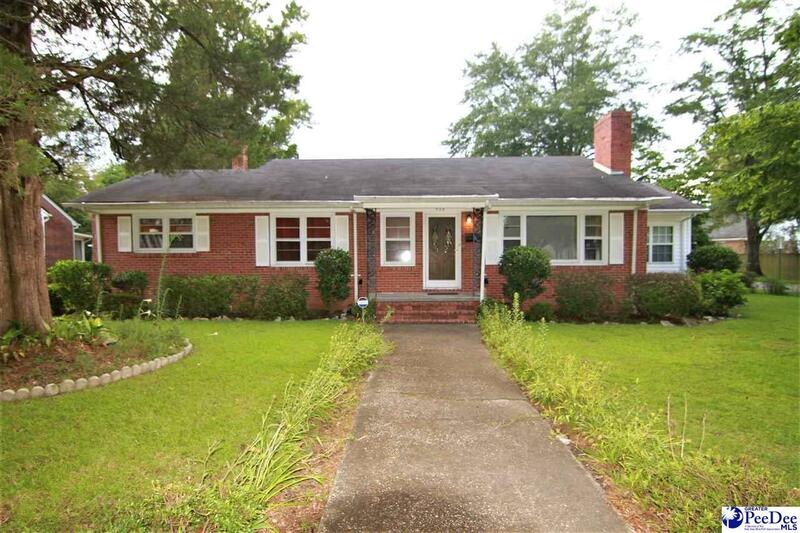 VERY WELL KEPT 1,400 sq ft. 3 Bedroom 1 bath BRICK RANCH HOME. Situated on a lovely 0.30 acre corner lot with blueberry bushes, pear tree, fig tree, grapevines and Bar-b-que pit. Home features brilliantly shined refinished hardwood floors throughout and fresh coat of paint. Charming kitchen with appliances, formal dining room, formal Living room with fireplace, sunroom with built-in seating, upgraded bath with tile flooring and tiled shower wall. Storage building plus 2 car carport & 2 car parking pad.